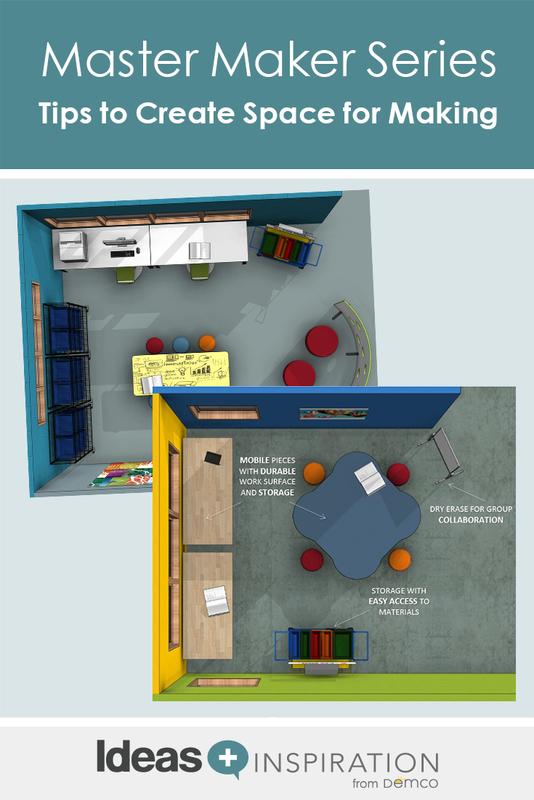 The Creator Cove example makerspace featured in Demco’s Makerspace Planning Tool. The idea of planning a makerspace can be very overwhelming. Where do you start? What do you order? Where are you going to put everything? These, and many other questions, can sometimes bring the momentum of building a space to a grinding halt. 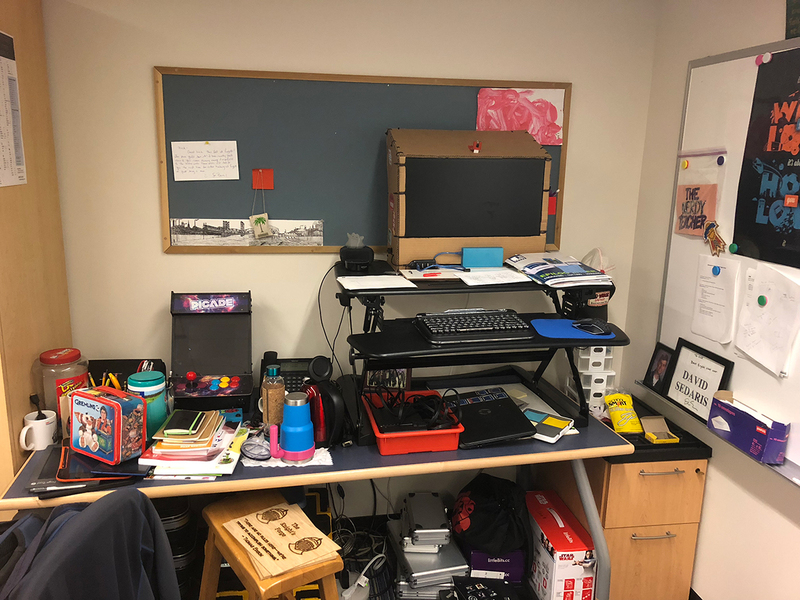 No worries, though — I have put together my own makerspaces at two different schools and worked with other educators across the country to build theirs, and I can provide some tips to help you plan and execute a space that is perfect for students and staff. One of the first steps in creating your makerspace is to identify the physical space you need. Every school is different in how it is designed, and space can sometimes be very hard to find. As a teacher, finding a corner of your room that you want to dedicate to making could be enough to get started. If you are a librarian, you might have a portion of your library space that is perfect for a makerspace. The one thing I strongly suggest avoiding is creating a makerspace in a locked classroom that is only available during small windows of time. A makerspace should be accessible every day during the entire school day, as well as before and after school. Locking it up behind a door during most of the day is a very “un-maker” thing to do. Another thing to consider is the amount of space you will need for the number of students that will be using the space at any given time. Will you need space for more than one class at a time? Will an entire grade level be able to come to the space to work on an assigned project? Knowing the capacity limits of the space is important because it will help teachers with their planning. I usually suggest that a library makerspace should have room for a full class, with some spillage into other parts of the library as needed. Knowing your capacity will allow you to know how many supplies you will need for the space. You might have space for 32 students, but you may only have funding to purchase supplies for 16. As you increase funding for your space, you should be able to get more supplies, which can boost your capacity as well. Sometimes there is space right in front of you — you just have to do some spring cleaning to see it. In my last makerspace, I worked with our librarian to weed the reference section. It was a very underutilized area of the library and had books that were out of date. The vast majority of student research was taking place online, and the books we had that were still useful did not need to take up an entire back wall of the library. Our librarian got her hands dirty and did the weeding needed to open up the space. We even used the old bookshelves as a way to showcase student work and hold the supplies we needed for the makerspace. By repurposing old tables and chairs from the library, we gained the tabletops we needed for projects and collaboration. Once you have identified the space, start thinking about how it is going to be used throughout the day. Very few schools follow the same model of how the space is used, and that’s because the space should be designed around the needs of the students and staff. I prefer the open model of a makerspace that allows students and teachers to flow in and out of the space as needed. An online calendar can be a great tool to help manage the space; teachers can book time in the space and double bookings can be avoided. 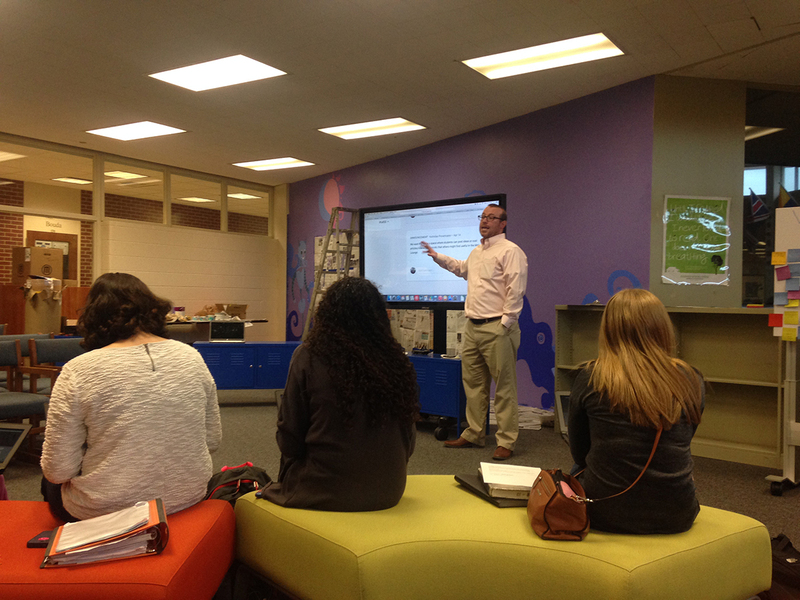 If the makerspace is in the library, it will be managed by the library staff. Students can come in during their study periods or lunchtime, or they can receive a pass from their teacher to come to the space during class time. If possible, try to allow the space to be open before and after school as well. I have found that the more the space is open, the more students will use it. There is a healthy debate in the maker community about using lessons in a makerspace. One side believes that creating lessons or guides takes away from the creativity and imagination that is supposed to be supported by a makerspace. The other group believes that having some lessons and guides can help students and staff get started in the space and, once they build their confidence, veer off to explore other areas that interest them. I lean more towards this part of the argument. There is nothing wrong with setting up projects for students and staff to explore if it gets them interested. However, there needs to be plenty of time given to unstructured creativity and exploration. By scaffolding lessons, you can provide initial guidance with how to operate tools and develop design-thinking skills and then steer students toward open-ended exploration and independent success. 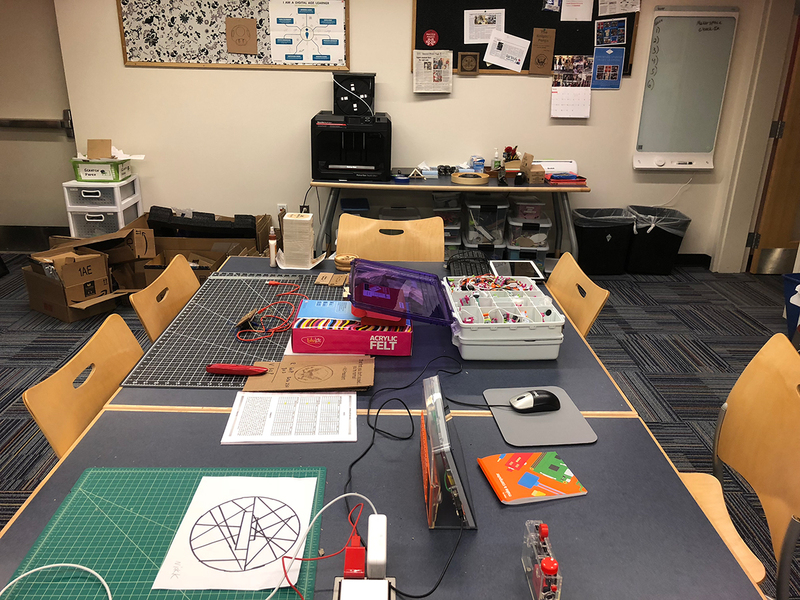 As you think about the space and how it will be used, it is the perfect time to connect with the teachers in your building and see how they might incorporate making into their curriculum. 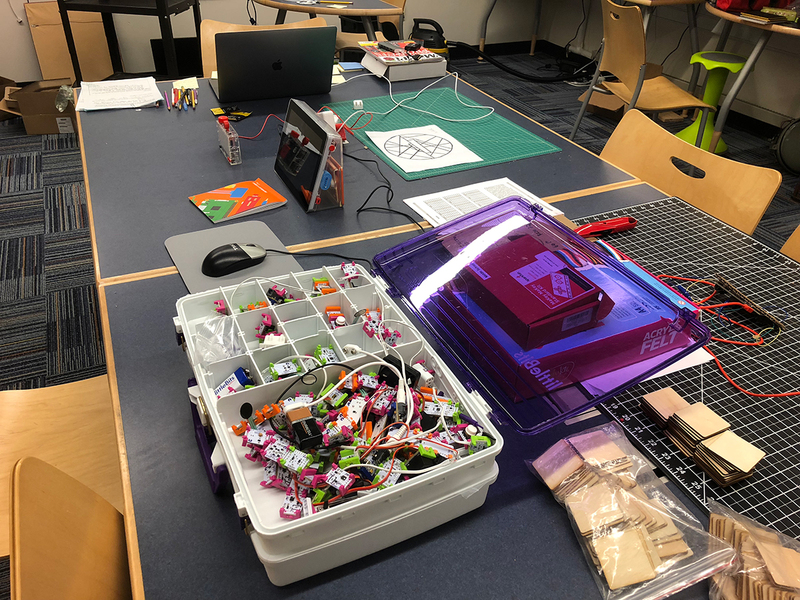 Talk with teachers and see how they are using project-based learning as part of their course and let them know that the makerspace is a perfect spot for students to create projects to demonstrate understanding of topics covered in class. 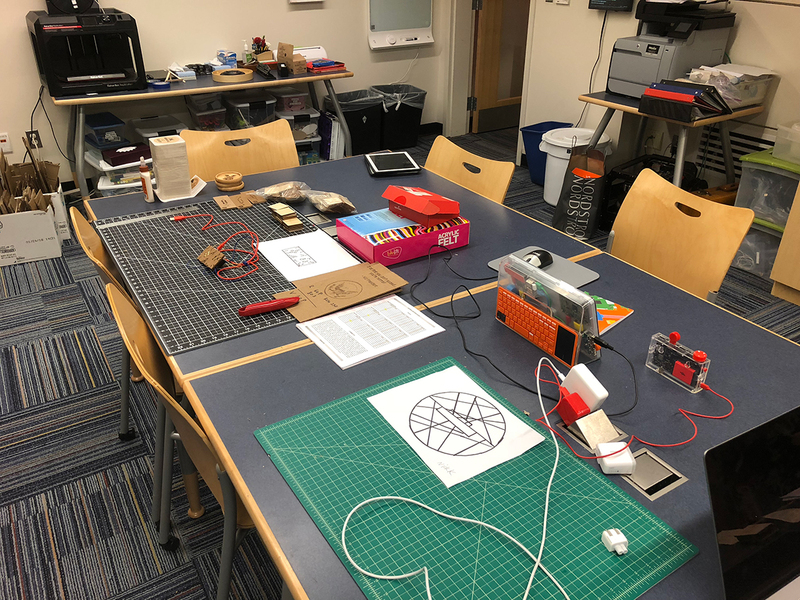 I have written a post on The Path to PBL and Making in the Classroom as well as Aspects of Effective Project Based Learning to help teachers see the possibilities of what project-based learning and makerspaces can add to any classroom. The more understanding you have of how teachers intend to use the space, the better prepared you will be to design it. Depending on the size of your space, you might want smaller tables that are on wheels so they can be moved around to form larger workspaces. 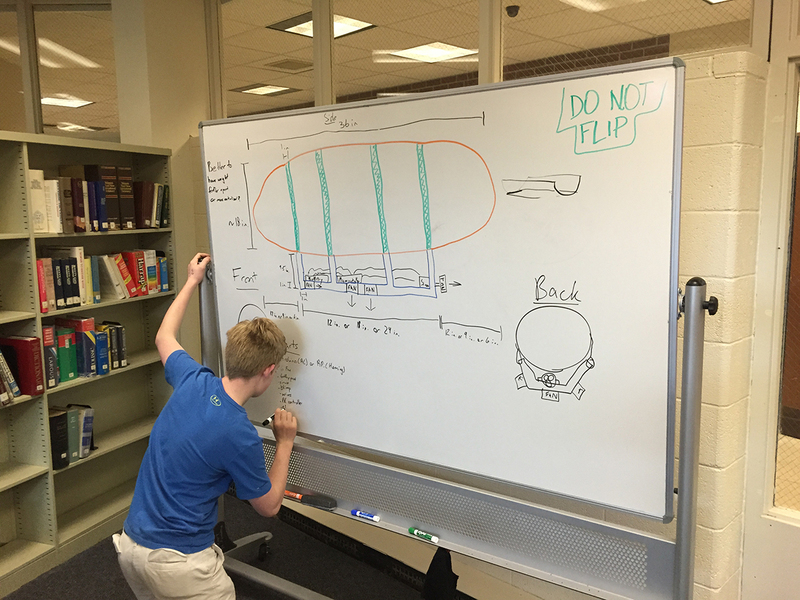 Whiteboards are an excellent addition to a makerspace because they can create standing collaboration areas and save table space for physical building. If you are going to have 3-D printers, CNC machines and other heavy equipment, then you need to dedicate table space to these tools. Any tool that requires a level tabletop is best kept on a stationary table. 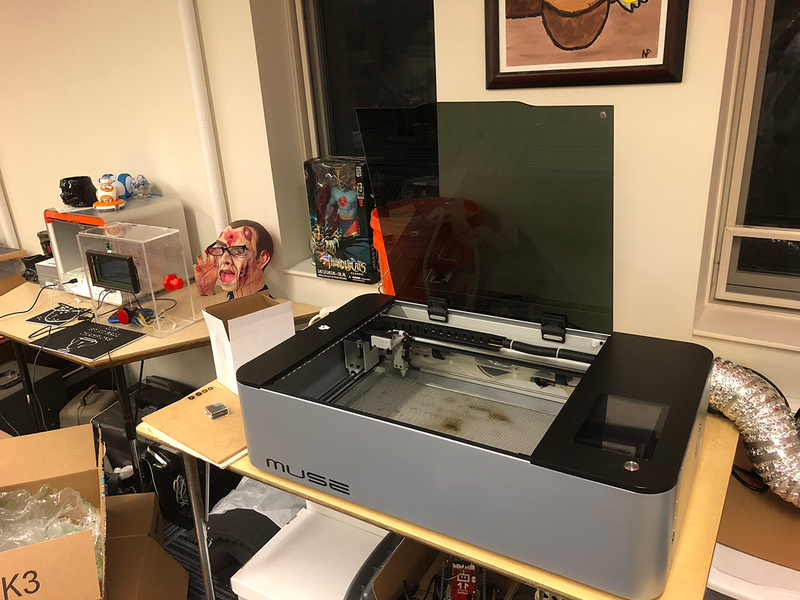 Carts can be used for some 3-D printers if table space is limited, but they are best for mobile 3-D printers that move throughout the school for class projects. Look for carts that have locking casters to keep them stationary. There are plenty of great options for chairs, and your choices will depend on the type of space you want. I have found that having a variety of seating options is best for a makerspace. If you are looking for individual and casual seating, bean bag chairs are perfect. If you need something more formal, traditional chairs with wheels are good because they allow for movement as needed. There are also some great chairs that are good for fidgeters. They wobble and help students (and this writer!) focus as they work. If you have a larger budget for furniture, explore commercial-grade chairs and couches that have built-in USB ports. This can allow students to work on their charged devices in a relaxing seat. Storage is always a factor in any new space. Cabinets that can provide tabletops are great because you don’t have to trade one for the other. It is usually wise to have cabinets that lock to keep certain materials and expensive equipment safe during the day. Clear plastic bins stacked underneath tables against the wall are a great way to keep everything tidy and allow for makers to see what is in each bin. Plan to go mobile from time to time? Having a couple of carts stocked with supplies that can travel to classrooms is perfect for when the space is packed and other classes still want to make. It is a great “problem” to have, and a cart that can support those classes is the perfect solution. If you are looking for information, you can explore spaces in Demco’s Idea Gallery. You’ll find advice and product recommendations in the Makerspace Furniture Checklist and the Getting Started With Making Guide. 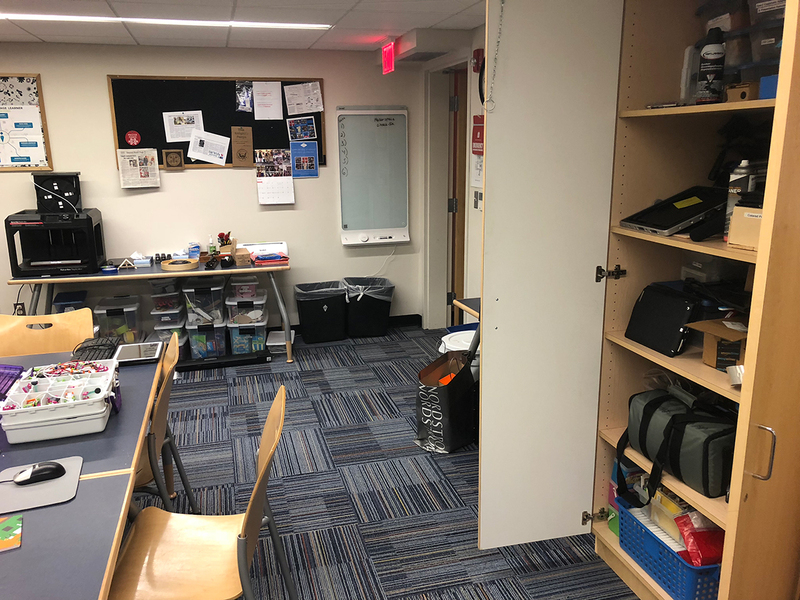 If you are still thinking about layout, check out Demco’s Makerspace Furniture and Space Planning Guide that provides ideas for different layouts based on the size of your space. Take these initial steps in putting together your makerspace, and you will see it grow and flourish in no time. 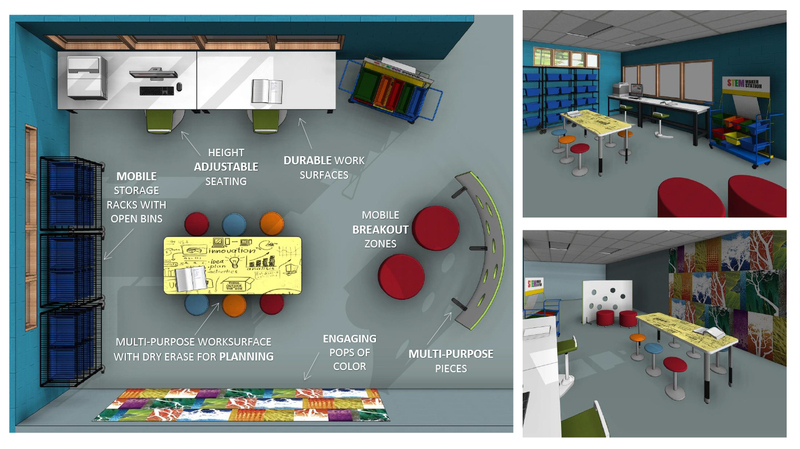 Need Help Designing Your Makerspace? 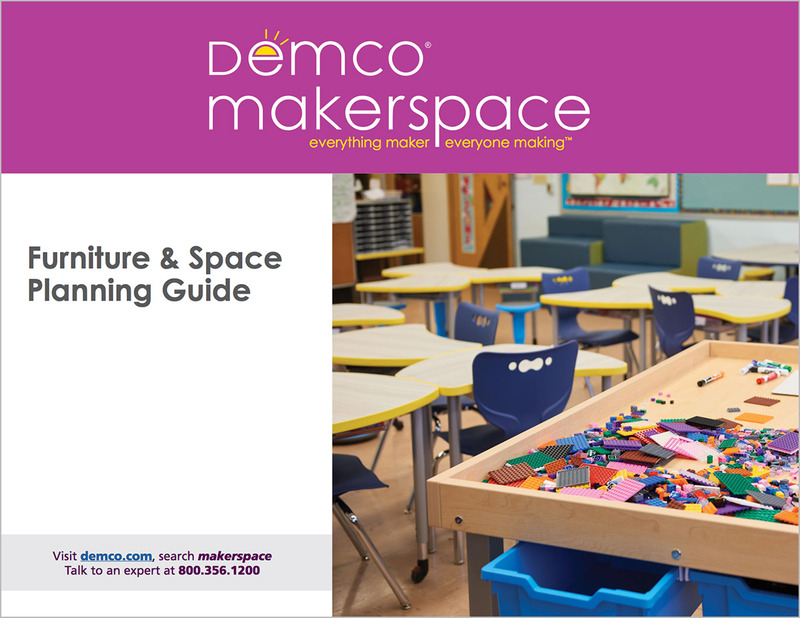 Download Demco’s Makerspace Furniture and Space Planning Guide to get tips, advice, and to see example layouts for small to large spaces.